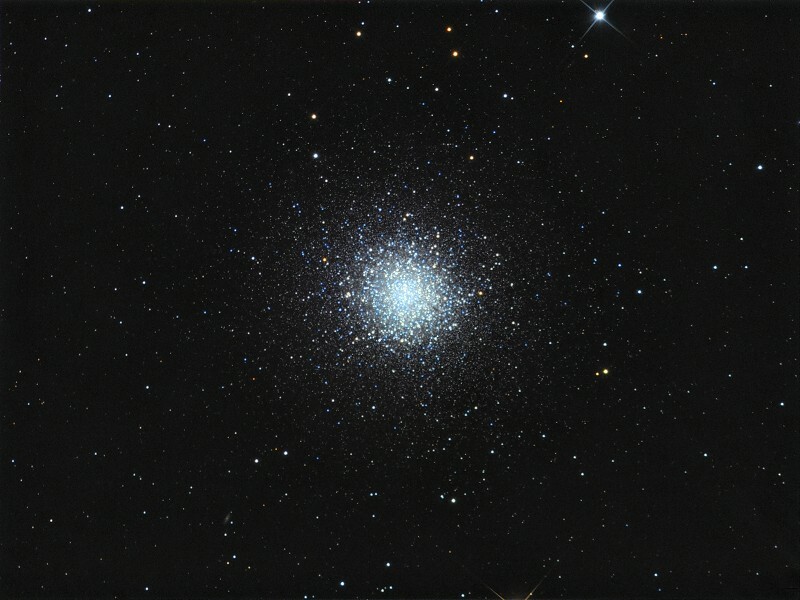 M13 (also designated as NGC 6205) is the most famous globular cluster of the northen sky. 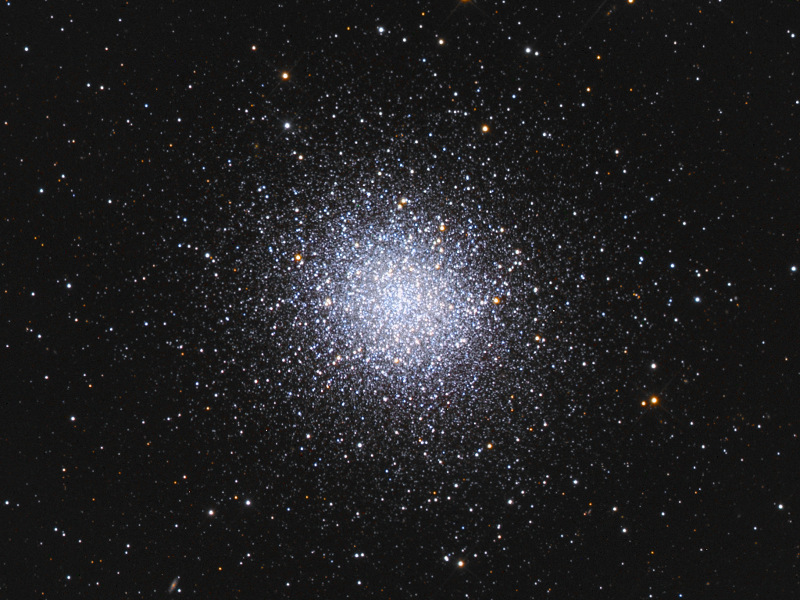 M13 was discovered by Edmond Halley in 1714, and catalogued by Charles Messier on June 1, 1764. 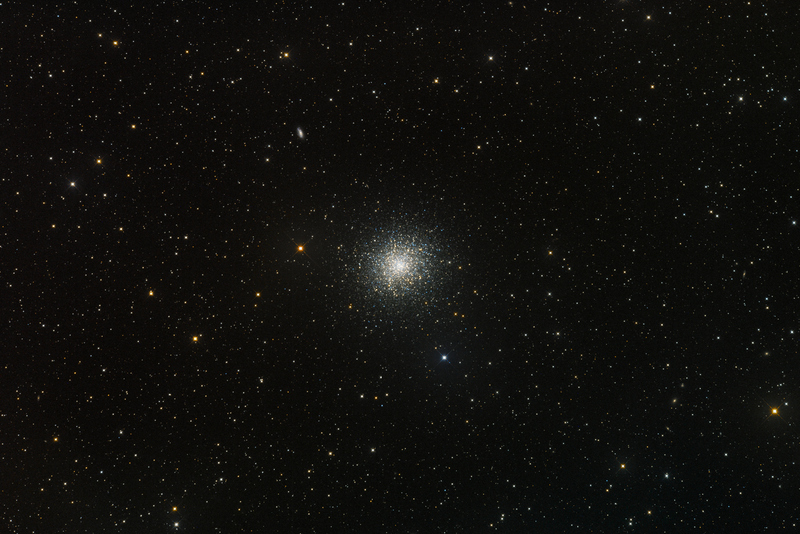 Visible with naked eye in good weather condition. 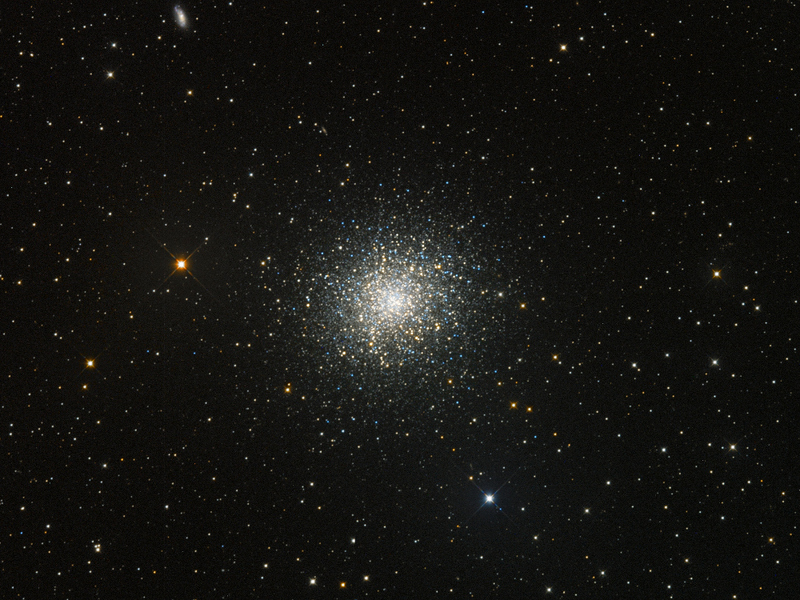 M13 is about 145 light-years in diameter, and it is composed of several hundred thousand stars, the brightest of which is the variable star V11 with an apparent magnitude of 11.95. M13 is 25,100 light-years away from Earth.